Followed Trump since the beginning, no one can argue he isn't doing exactly what he said he was going to do during the campaign. He's keeping all his promises, one by one. No politician keeps all their promises. You can disagree with them, and his rhetoric, but this is what the 'forgotten' men & women voted for. They didn't want a politically-correct speaking establishment globalist... They wanted a straight-talking old school New Yorker who would reject the Washington status quo and put America first. This is why they hate him. There is so much the average person doesn't know or understand. China has a secret missile base under the ice in Antarctica and plan to build another one on the dark side of the moon. Before you laugh I was told this in strict confidence by Pauline Hanson and confirmed later by Mark Latham. Old Kogarah Boy 1, Gareth67 and ALSGI like this. I hope it's the lawn type of grass. Gareth67, Old Kogarah Boy 1 and ALSGI like this. True Jimmy, bowlers and batters, pretty average. Batting was ok. Few soft dismissals but that only highlights that some of the blokes aren’t international standard (Lynn, Head etc.). The bowling (particularly towards the end of the Proteas’ innings) was woeful It seemed every delivery was an attempted Yorker but ended up as a full toss. In the end, I reckon they simply gave up the ghost. Everything is so green, man. I thought so , the sneaky little devils ! Just as long as they keep away from my fridge , as I don’t know what I would do without ice-cubes for my Scotch and Dry . 30 minutes surely, if not the entire second half. In league, we give them a pretty good send off. In golf, the older you are, the worse you are and they love you more for it. In soccer, its a case of ................. Next please! It showcased everything that is wrong with the Australian football hierarchy. ..............and now for something completely different! 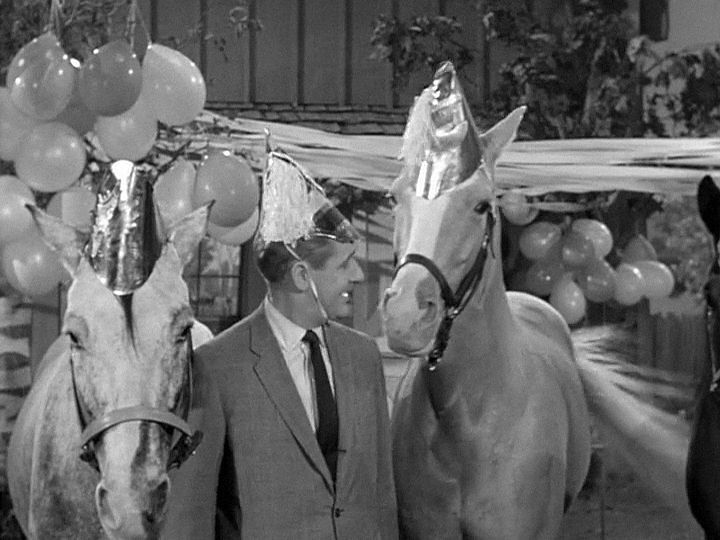 Did you know Mr Ed had a stunt double? Apparently, Mr Ed was Spainish and could't speak english. But of course .............. I knew that! The Hayne Plane may be grounded, but check this out. Drakon, Old Kogarah Boy 1, ALSGI and 1 other person like this. 190 runs in a whole day!!? Old Kogarah Boy 1 and Frank Facer like this. True what you say mate, they had to dig in or be out for 100. I was comparing the current circumstances, skill set, talent and great bats of our recent past who had the skills to always score 300 in a day no matter what. With our current team there is no way we have the bats to get close to taking it to the opposition. These days we have to occupy the crease to survive, and still be rolled for under 250. Our bats haven’t performed for a longtime, monumental collapses and individual scores under 20 are every day occurrences these days. I stand by my rating that our team is a B grade team these days, bowlers aside. Painful to watch....the worst batting line up for years and years. Agreed. The glory days are long gone. It's pretty difficult to watch Virat Kohli giving our batsmen massive send offs and carrying on. They are very chirpy out there, I hope we can shut them up with runs and wickets. I'd prefer we won the series 4 nil and didn't sledge once. 41yearsaint and ALSGI like this. Not sure whether this is an ad for a car or a phone! Drakon, ALSGI and sa1nt5 like this.